Today’s project is one that I will be teaching at my upcoming Big Shot Club meeting. 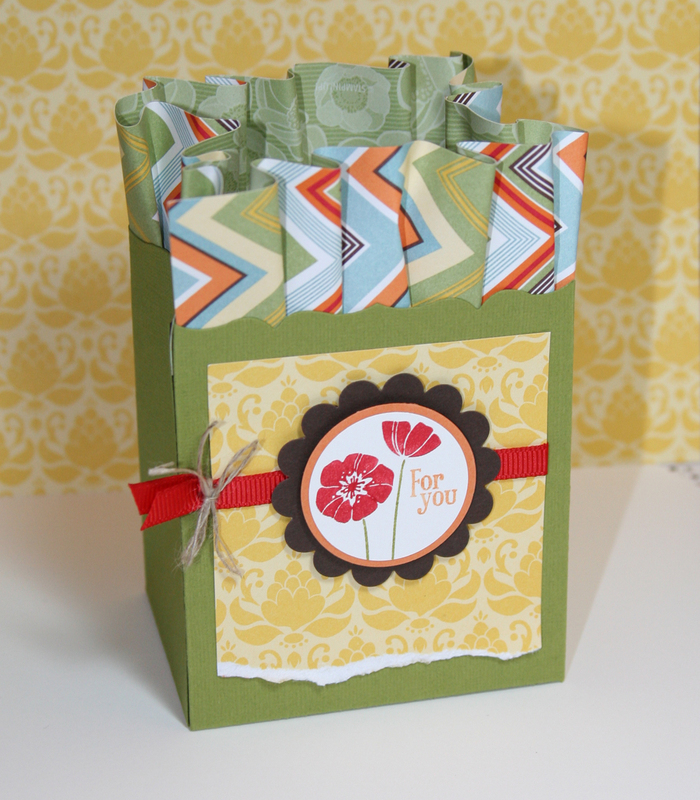 The bag is made using the Fancy Favor Die and the Punch Bunch stamp set from the Sale-a-bration catalog. I love having the dsp come out of the bag, making it look like tissue paper. After our Big Shot Club meeting on the 12th, I will have a tutorial showing how to achieve the ruffled look. Hope you enjoy! Thanks for checking out my blog. Happy stamping! WOW! Jessica, I’m so glad I stumbled upon your blog- you are super talented. Love your style, color choices and fabulous photography as well. Will be back! !